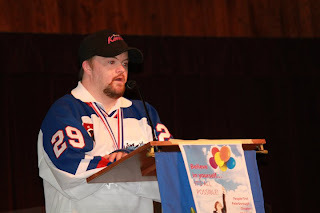 One of our "star" Kawartha Komets was a speaker at the People First Conference held in Peterborough earlier this year. 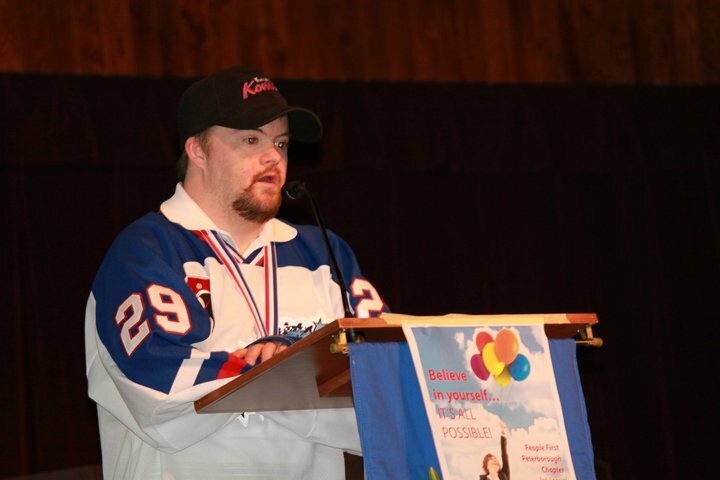 Shane Marshall is one of Peterborough's finest citizens and we are proud to say that he is a member of the Komets. Everyone loves Shane and he did a great job speaking at the Conference. Nice to see Shane pick up a couple of goals in a recent Komets game! You are our hero, Shane!